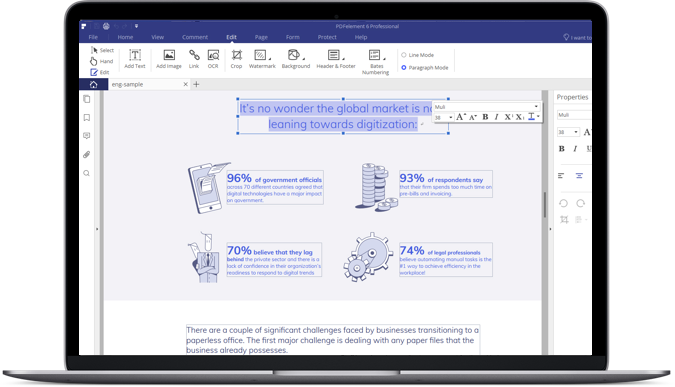 Add, delete, and edit text and images, change the font type, size and style. Insert, reorder, move, and extract pages. 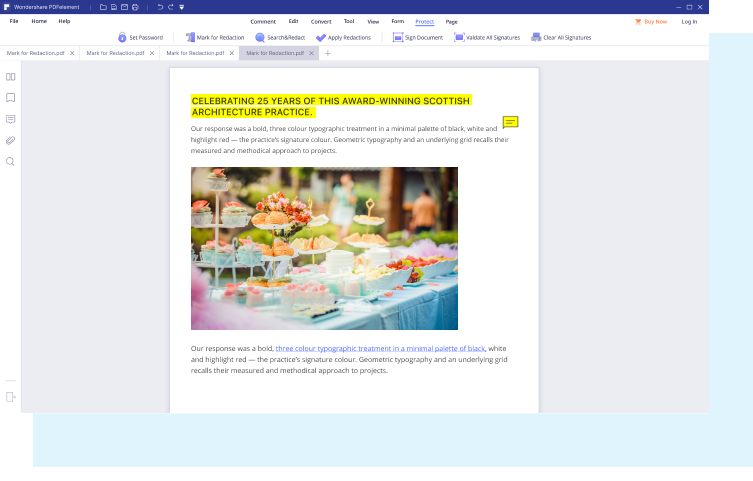 Insert page numbers and links into your documents. 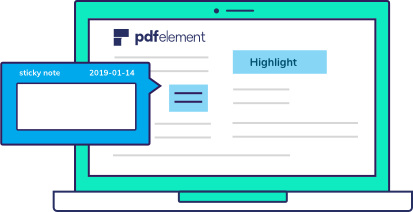 PDFelement equips you with powerful tools to highlight and add comments to PDF files. Including highlight, underline, strikethrough, sticky note, text boxes, rectangles, and clouds tools etc. 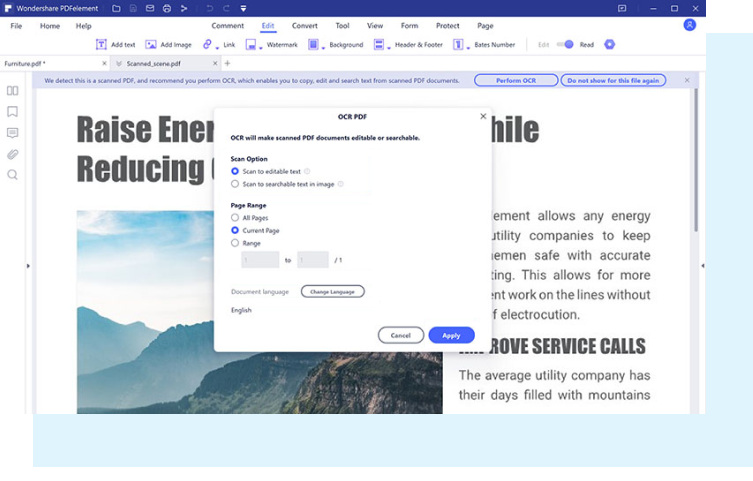 Streamline your next presentation or project by combining PDFs and other collections of documents like Word, Excel, PowerPoint, etc into a single, searchable PDF. 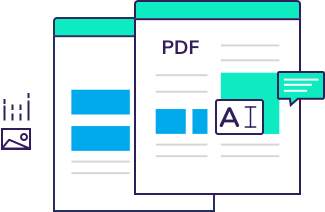 Separate PDF by bookmark or pages as you need. 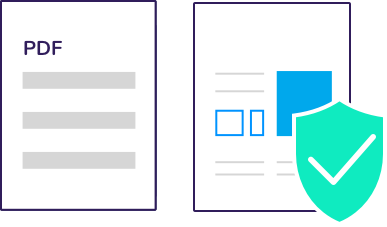 Permanently remove (redact) visible text and images from PDF documents to protect confidential information. Compress PDF files without any loss of quality, making them easy to upload to the web or send through email. 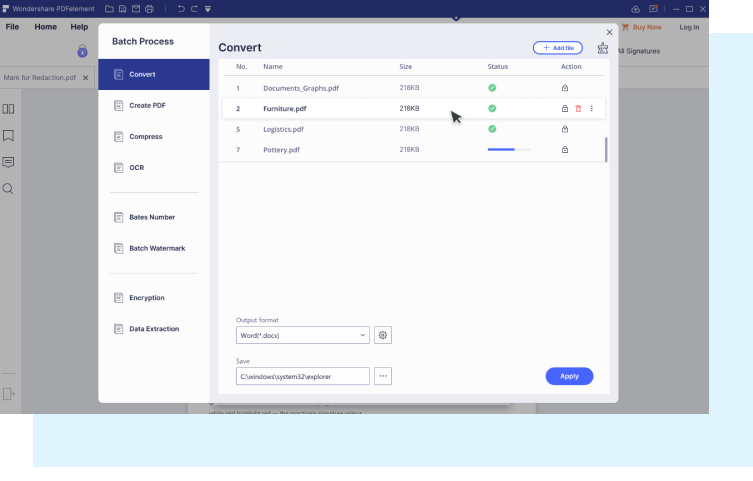 Control individual user permissions and add secure passwords to restrict document access and prevent unauthorized viewing, copying, editing, extracting, and printing of your PDF. Supported File Format: Word, Excel, PowerPoint, Images, HTML, Epub, Text, RTF and etc. 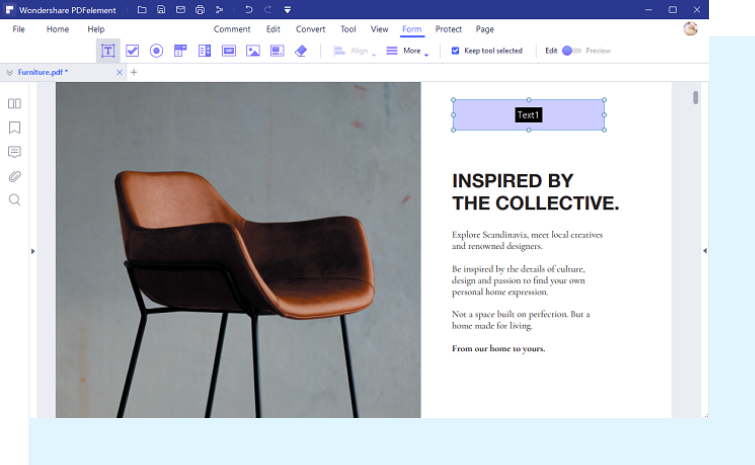 High Quality: Your original fonts, images, and formatting will remain consistent after conversion. 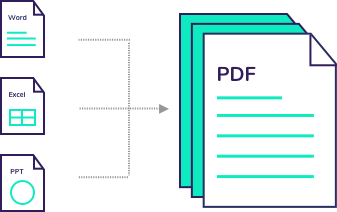 Batch Process: Convert entire collections of PDFs into editable Microsoft Office or image files in a single step. 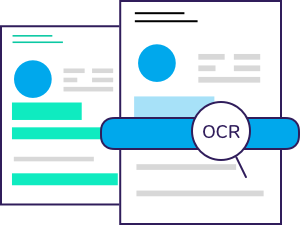 · Optical Character Recognition (OCR) perceives and identifies scanned image-based PDF documents texts automatically for smooth copying, extraction, searching and editing of content. 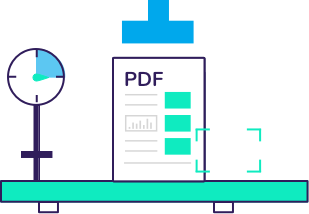 · PDFelement OCR can read 20+ languages: English, Korean, Italian, French, Ger-man, Russian, Czech, Turkish, Portuguese, Polish, Romanian, Ukrainian, Japanese, Greek, Croatian, Bulgarian, and more. Turn any form - from Word/Excel tables to scanned documents into a smart form that you can easily fill electronically. 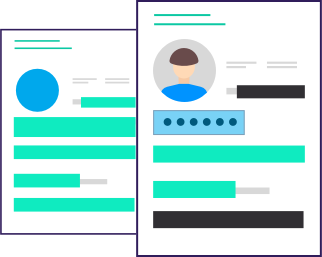 Easily drag-and-drop text boxes to create user-friendly form fields with text fields, buttons, list boxes, digital signature fields and more. Extract data from hundreds of identical forms into a single, accessible Excel sheet. Note: After upgrading to Windows 8, the Uninstall tile may not be represented on the new Start screen. To access it, please right-click on any blank area of the screen, then click the All apps button in the lower right-hand corner of the screen. All the programs installed on your PC will be displayed on the Apps screen. The Uninstall item can be found in the Wondershare section. 2.Choose Finder > Empty Trash. Terms | Privacy | Cookies Policy | Contact Us | Copyright © 2018 iSkysoft. All Rights Reserved.